Posted on April 23, 2017 August 14, 2017 by Hip Hop Education 4 YouthTagged bBoy, BGirl, dj, graffiti, Hip Hop, hip hop against violence, hip hop appreciation week, Hip Hop Artist, hip hop awareness, hip hop culture, Hip Hop Dance, hip hop debate, Hip Hop Education, hip hop history, hip hop history month, hip hop legend, Hip Hop Magazine, hip hop media, hip hop movement, Hip Hop Music, hiphop. Posted on March 13, 2017 August 14, 2017 by Hip Hop Education 4 YouthTagged culture, education, Hip Hop, hip hop culture, hip hop educate, hip hop education center, hip hop history, Hip Hop Magazine, Hip Hop Music, martha Diaz, new york university, queen. Posted on February 20, 2017 March 7, 2017 by Hip Hop Education 4 YouthTagged 1990's, 90's style, entertainment, hi top fade, high top fade, Hip Hop, hip hop culture, Hip Hop Dance, hip hop fashion, hip hop history, Hip Hop Magazine, hip hop movement, kid n play, media, south bronx, the bronx boys rocking crew. 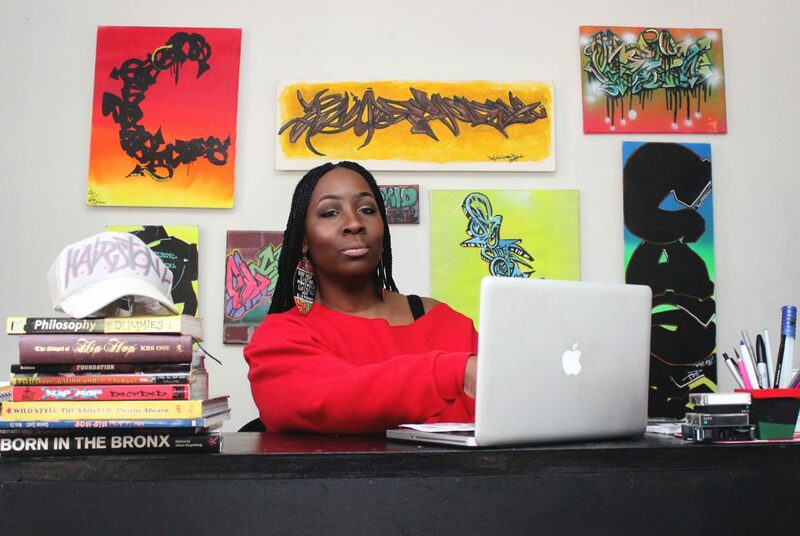 Posted on March 16, 2015 July 22, 2016 by Hip Hop Education 4 YouthTagged 5 elements, hairston, harrisburg hip hop educator, Hip Hop Education, hip Hop Historian Zulu Queen Michele, Hip Hop Magazine, hip hop youth, History Month, Interviewing, michele, Michele Hairston, Queen Michele, slovo magazine, Universal Zulu Nation, universalzulunationpennsylvania, Zulu Bratz, Zulu Nation, zuluqueenmichele.